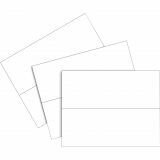 Cardstock scored for easy folding. 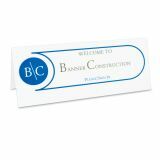 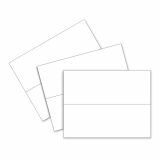 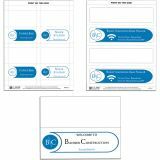 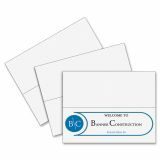 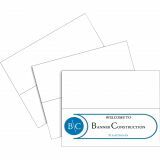 C-Line Scored Tent Cards, 11 x 4 1/4, White Cardstock, 50 Letter Sheets/Box - Add a touch of detail to any event or gathering that you are planning. 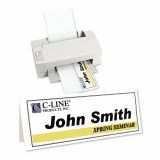 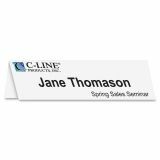 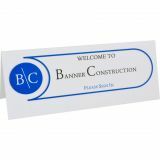 Use these name tent cards and C-Line Heavyweight Plastic Name Tent Holder (sold separately) to personalize a meeting or conference in minutes. 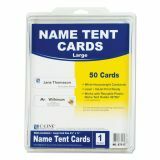 Create name tents and signs with your inkjet or laser printer. 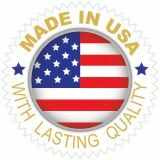 Finished size is 4-1/4" x 11". 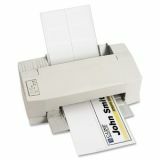 They are great for offices, conferences, meetings and more. 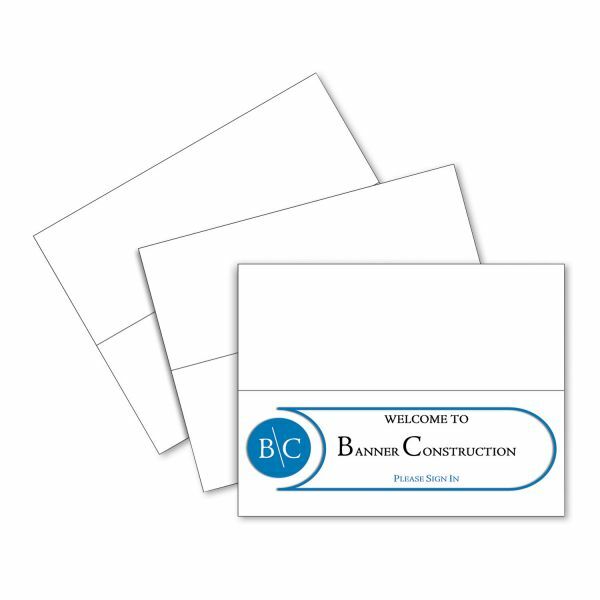 Scored cardstock allows easy folding.